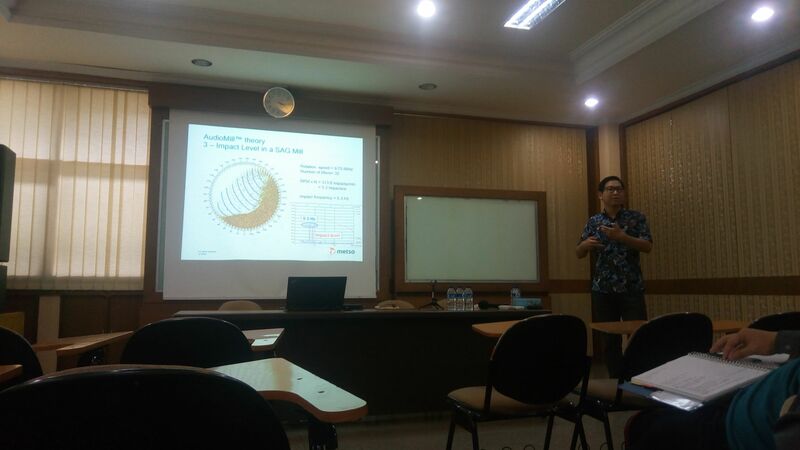 BANDUNG, metallurgy.itb.ac.id – Department of Metallurgical Engineering ITB held a guest lecture on Friday, January 26, 2018. The lecture was given by Mr. Erwan Yap. 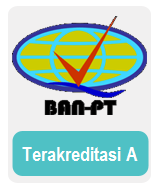 He graduated from Department of Mining Engineering ITB on 1999. Now he works in Metso company. Metso is an industrial company offering equipment and services in the mining, aggregates, recycling and process industries. 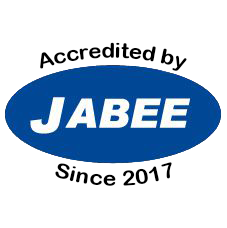 Its core business includes the provision of equipment and services such as SAG mill, ball mill, belt conveyor, feeder, pump, etc. The Process optimization division is a support business owned by Metso. Advanced Process Control (APC) and sensors are part of the Process optimization division that specifically adds value to production from the mining area to the processing plant. The products and services include SmartTag™, VisioTruck™, VisioRock™, VisioRock-Studio™, OversizeDetector™, AudioMill™ (SmartEar™), VisioFroth™, and Advanced Process control configured on the OCS-4D© platform . SmartTag™ is an ore tracking technology. With ore tracking, ores originating from different mining areas can be traced, recorded and understood where ore information can be correlated with production. The ore load from the mining area will be assigned RFID-based markers. This marker will go through the process of blasting, crushing, and milling. VisioTruck™ is used to determine the size distribution of trucks. VisioRock™ is used to determine the size distribution of material in conveyor belt. Both applications are online measurement, while VisioRock-Studio™ is the offline measurement used to measure the distribution of blasting size. OversizeDetector™ is an addition to VisioRock™ that is used to detect large objects that pass through the conveyor. OversizeDetector™ can provide warnings and to provide a signal to turn off the conveyor. AudioMill™ (SmartEar™) is used to measure noise at SAG mill. This technology provides a solution to measure the impact noise that occurs in SAG mill. The purpose of this measurement is to protect the SAG mill liner from damage caused by a steel ball blast with a liner. It can also be used to optimize SAG mill operation by controlling impact noise within operating range. VisioFroth™ is used to analyze the froth on the flotation process. Measurable variables include froth speed, bubble size distribution, froth texture, and bubble burst rate. The above variables can be used for the optimization process of flotation operation. Using OCS-4D© software, these technologies will be linked to DCS and / or PLC controls. The OCS-4D© software is used to configure advanced process control that will optimize the set point so that the process in grinding, flotation and thickener can be controlled better and will improve overall factory performance.